Preview inbox, outbox, sent items, contacts, calendars, etc. View OST files with their email properties like To, Cc, Bcc, from, etc. You can view emails of OST files along with their attachments. All the OST files and their properties can be viewed like; From, Subject, To, Sent, received date and size in bytes. This feature helps users to have a quick look on emails. 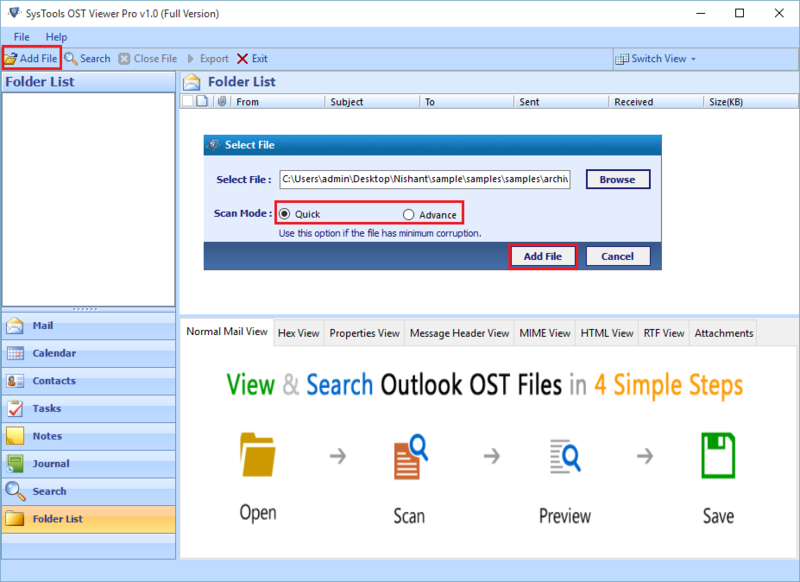 OST Viewer Pro provides the option of an advanced search feature to find a particular email by entering a matching keyword or phrase. You can also apply different filters to carry out extensive search of messages within an OST file. 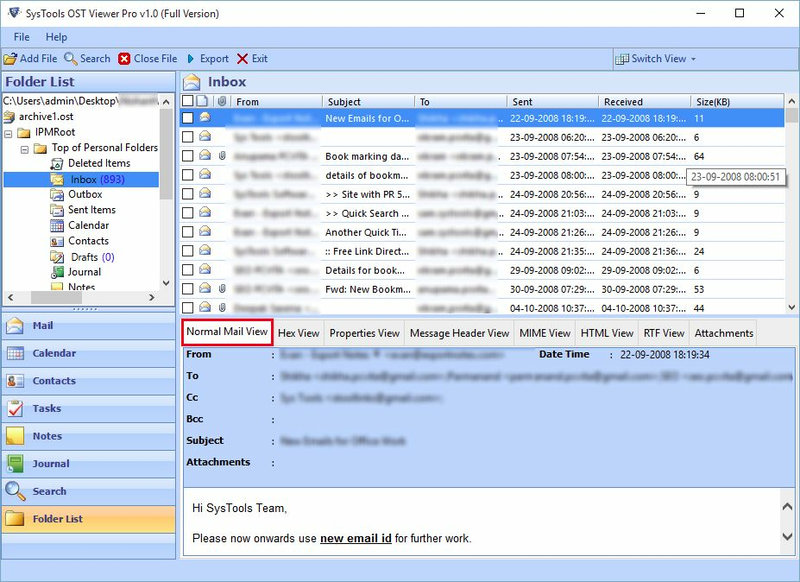 The software provides the option to view and analyze emails in multiple modes i.e. normal, header, attachments, MIME, HTML, properties, and RTF. The data will be available to the corresponding emails which you will select. On opening OST file, the utility will prompt you to select between two scanning modes i.e. Quick and Advanced scan. Quick scan is selected when file has minimal corruption & advanced scan is chosen when the file has higher corruption level. The application gives the option to save emails of OST file into PDF file format. 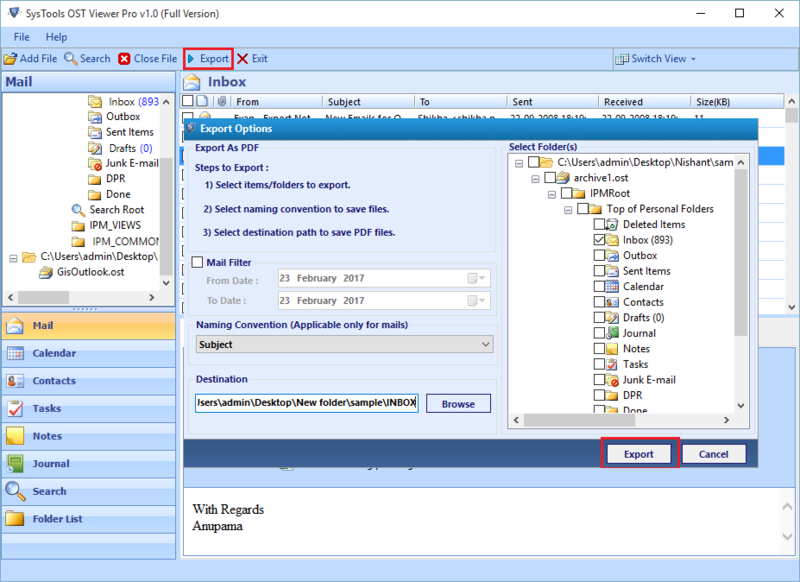 You can batch export the emails and their corresponding attachments in the PDF file format. You can also selectively check or uncheck the emails while exporting them. You have the option to check or uncheck the files /folder within the OST file which you want to export to PDF file format. This helps in quick export of data in case of urgency and thus saves time of users. The software provides the option of filtering the emails based on a specific date range and then export them. This saves both time and effort of users while exporting OST data to PDF file format. You can save the converted PDF file by using different naming conventions on the basis of year, date, and subject .The software also saves files on the basis of auto-incremental or MD5 options. How can i convert OST files to PDF in batch ? 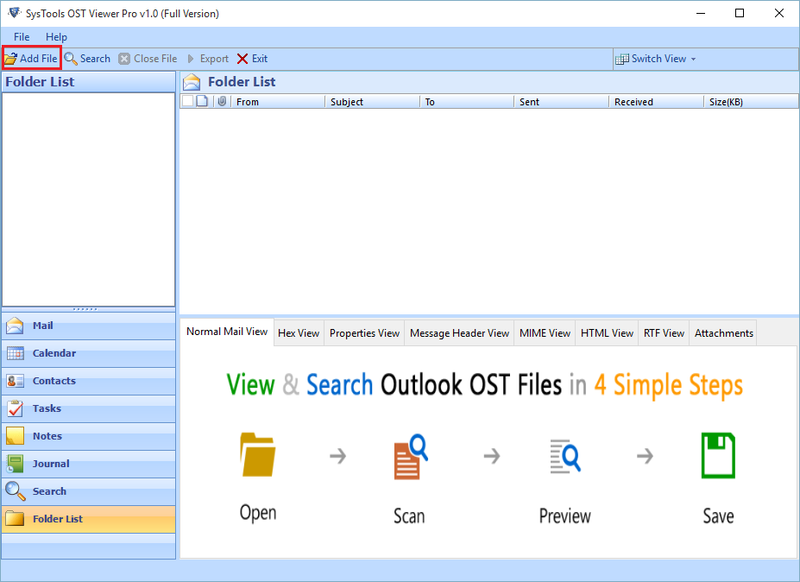 Download and Install Outlook OST viewer Pro software. Add and locate the necessary OST file to the software. Is there any limitation of file size which the application can handle? There is no such limitation regarding OST file size which the software processes. Can the software work without the Outlook and Exchange server environment? The software works absolutely fine without the environment of Exchange Server and Outlook. How can I save the OST items in PDF file format.? When using the OST Viewer Pro, you can save the OST file in PDF file format either by batch export or by selectively checking or unchecking the folders. Can I save the corrupt OST file in PDF file format? Yes, the application provides the option to save the data that is present within OST file in PDF file format. Does OST Viewer Pro provide facility to view all the inaccessible OST files? Yes, you can view the corrupted, damaged, or inaccessible OST files. There was a situation when I faced Exchange server downtime, my OST files became inaccessible. I was looking for various solutions to access the orphaned OST files. Then I came across your software on a particular on Google. I am really thankful to OST Viewer Pro which not only allowed me to view all items within the .ost file but also provided the option to export the OST items to PDF file format successfully. Previously I was working in an organization which was using Exchange server but now I have shifted to another organization following a job change. I wanted to access the pay slips of my previous organization which were present within the OST files. I was really worried as to how to access the OST files. 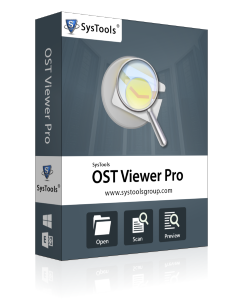 Then I came across your tool OST viewer Pro. It is really a commendable tool and helped me to view & save the items within an OST file in PDF file format and that too in suitable naming patterns.